A/Prof Fong started his journey in Medicine when he was awarded the President’s Scholarship to study medicine at the National University of Singapore (NUS). He graduated with the top medal in Obstetrics and Gynaecology and was awarded the Gold Medal in the Master’s Examination in Obstetrics and Gynaecology (NUS). He also achieved the Board of Examiner’s Prize (Royal Australian and New Zealand College of Obstetricians and Gynaecologists) and a letter of commendation from the Royal College of Obstetricians and Gynaecologists leading to his postgraduate degrees. 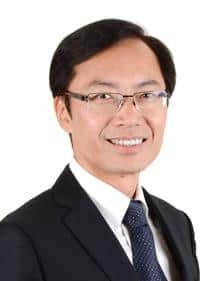 In 2002, A/Prof Fong won a Fellowship programme in Minimally Invasive Gynaecologic Surgery and has since been the lead-surgeon in laparoscopic surgery in NUH from 2004. Throughout his tenure, he strived to push for better health care outcomes for women and to empower his patients with more choices and options. He initiated the outpatient hysteroscopy services that were able to “see and treat” uterine problems such as polyps, fibroids and adhesions. A/Prof Fong also developed the Endometriosis Centre concept that catered to complicated endometriosis and chronic pelvic pain, integrating urological, colorectal, pain management and women’s emotional health services. He also started research in uterine fibroids and was especially concerned about the issue of ovarian reserve for women going for surgery. A/Prof Fong is equally passionate about teaching, education and mentorship. He has trained numerous doctors across Asia Pacific in Minimally Invasive Surgery and has travelled as far as Mongolia and Fiji to serve common interests in the O&G communities in these countries. Many of those he has trained have assumed key leadership positions. He also shares his techniques, approach and philosophy in the management of complex gynaecological conditions at workshops, seminars and conferences throughout the world. Fluent in English, Mandarin, Bahasa, Cantonese, and Hokkien, A/Prof Fong sees local and international patients from all walks of life.